The name Microkinesiotherapie comes from the etymology of the world in French –Microkinesitherapie – that means therapy by means of soft movements. The technique optimizes the natural healing resources and mechanisms of our body, enhancing health and wellness. This treatment is a manual-therapy based technique which principles are similar to homoeopathy – both follow two laws: the cure by the infinitive (diluted medicament – minimal palpation) and similarity (similar cures the similar). It consists in identifying the primary cause of a disease and/or symptom and to stimulate the organism´s “self-cure”, so that the body could recognize the aggressor (antigen) and initiate the elimination process through a tissue and cellular reprogramming. All individuals present the ability to react against suffered aggressions. However, when this overcome our body´s defense threshold, the vitality is altered thus leading to an onset of diseases. This primary aggression leaves traces (scars) which disturb the cells and tissues behaviour. These traces remain stored in tissue/cell memory causing loss of vitality by a body and mind. With cumulative aggression, our bodies will carry SCARS and this will lead to dysfunctions. All bodies´ tissues carry memories of physical, psychological and toxicological traumas that may occur in any phase of life. Foundations: Aiming to find explanations for the recurrence of patient’s symptoms, they started to develop a different approach and deepened their studies, especially concerning human development origin in areas such as Embryology, Phylogenesis and Ontogenesis. EMBRYOLOGY – Study of the development of human body. PHYLOGENESIS – Study of the development of the species. ONTOGENESIS – Study of the development of an organism, its origin and evolution. From the studies applied clinically linking patient’s history and symptomatology, Grosjean and Benini created specific body maps and subtle gestures (soft touches) denominated micro-palpations that stimulate certain body areas evoking the body natural resources of SELF-REGULATION. OBJECTIVE AND GOALS The object of Microkinesitherapie is to find and restore body areas that lost its vitality and mobility, using soft touches in different tissues in the body using specific body maps. After applying soft touches on reflexing zones, vital rhythm is restored, normalizing the function of the stimulated tissue, promoting balance and maintenance of health. Microkinesitherapie consists in to localize the patient's body information of previous situations/traumas that have been experienced physically and emotionally and the body could not eliminate. These pieces of information are named “BODY SCARS” by Microkinesitherapie and they don't stay necessarily in the brain. According to the creators of the method, Grosjean and Benini “ Everything that happens with us in a toxic level, either physically or emotionally, are stored by the brain which keeps memories and generates links that may harm the function of the cells generating a vast array of symptoms and dysfunctions”. The Microkinesitherapie is a technique that helps to identify these memories (BODY SCARS) and deactivate them making the body heals itself through SELF-REGULATION. You will learn to associate Embryology, Phylogeny and with Ontogeny with specifics manual therapies that will balance physical and emotional dysfunctions. Up to this date, more than 40 clinical studies involving this technique have been done around the world as well as Humanitarian missions: i.e Chernobyl (Ukraine), Russia, East Africa. 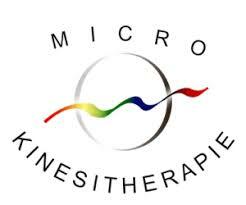 Around 5.000 professionals have already received training in Microkinesitherapie, the majority in France and Belgium. In Brazil, the method started to rise in 2003 and many professionals such as medical doctors, physical therapists, massage therapist, acupuncturists and veterinarians have received training ever since.